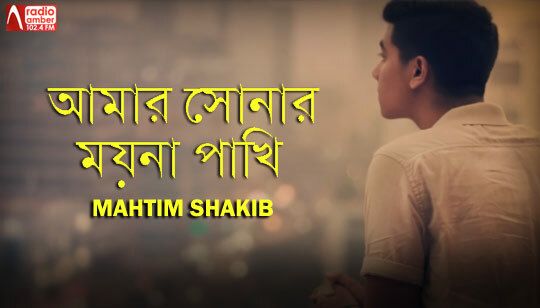 Amar Shonar Moyna Pakhi Lyrics by Mahtim Shakib Cover version from Monpura Bangla Movie song is sung by Arnob. Bangla Song Lyrics written by Mohammad Osman Khan. Originaly this heart touching bengali folk song is sung by Nina Hamid. Monpura Bengali movie directed by Giazuddin Selim. Starring: Chanchal Chowdhury, Fazlur Rahman Babu, and Farhana Mili. এ জীবন যাবার কালে রে..